The Fourth of July comes at a perfect time—just as the summer gets really warm and sunny in most parts of the United States—and we celebrate the day with barbecues, parties, parades, and fireworks. 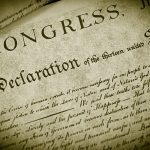 Although most of us also know that the Fourth of July is a celebration of American independence from England, we may not remember the way it all began. In April of 1775, the initial battles in the Revolutionary War began. At that time, few colonists really wanted complete independence from Great Britain, and those who did were thought of as radicals. But as 1775 rolled into 1776, hostility between the colonies and Great Britain grew, and colonists began to see independence as a good thing. The Continental Congress met at the Pennsylvania State House on June 7, 1776, and Virginia delegate Richard Henry Lee introduced a motion calling for the colonies’ independence. Although Congress postponed voting on Lee’s resolution, it did appoint a five-man committee—Thomas Jefferson, John Adams, Roger Sherman, Benjamin Franklin, and Robert R. Livingston—to draft a statement as to why the colonies wanted to become independent from England. Almost a month later, on July 2, the Continental Congress formally approved the Declaration of Independence. Thomas Jefferson was the primary writer of the declaration, which was a list of grievances against King George III of England that justified the colonies’ separation from Great Britain. The document itself is uniquely American, but the ideas in it were taken from many works of European and American political philosophy. In fact, English philosopher John Locke’s formulation, “life, liberty, and property,” were most likely the inspiration for Jefferson’s “Life, Liberty, and the pursuit of Happiness” as inalienable rights shared by all people equally. 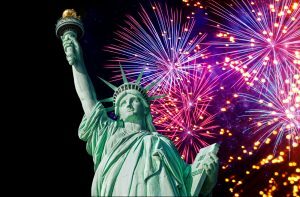 In 1870, the U.S. Congress made July 4 a federal holiday, and in 1941 the legislature granted all federal employees a paid holiday on July 4. Today, Americans from all walks of life celebrate the anniversary of our nation’s independence with pomp and parades and illuminations (fireworks) from one end of this continent to the other. John Adams’ prediction has been proven correct. Although American democracy is still and always will be a work in progress, the Founding Fathers’ ideals have guided the rights enshrined in the Declaration of Independence, the Constitution, and the Bill of Rights. Independence Day celebrates the ideals of democracy, liberty, and the pursuit of happiness, and the brave individuals who made supreme sacrifices to create the United States and defend it through the centuries. Why Did McConnell Cancel the Senate’s August Recess?